When I lived in LA, I never took enough advantage of all the wonderful food options that the city has to offer. 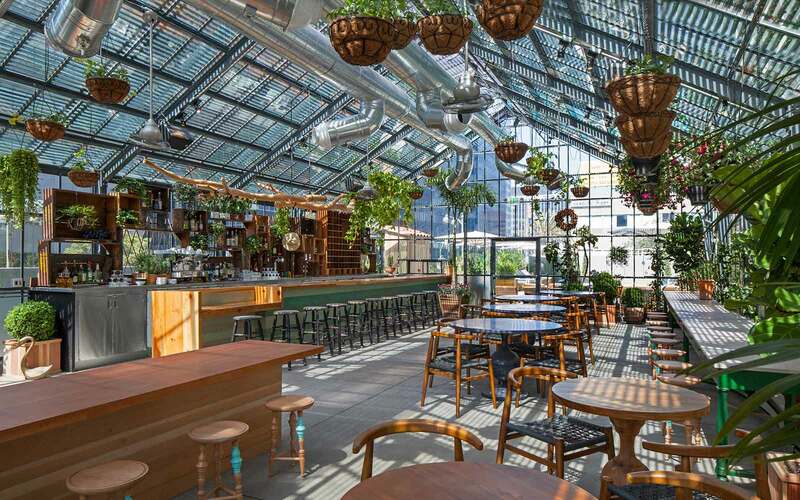 And now that I live in Orange County, I find myself lusting after many of these places that would be deemed a foodie paradise, one of these being Commissary at the Line Hotel. I’ve been a big fan of Roy Choi since he first had the Kogi truck, and after reading Lynn and Emily’s reviews, I knew I had to check out Commissary at the Line Hotel myself. The Englishman and I made our way up to LA to join one of our favorite couples who are always down to go on a foodie adventure. The Line Hotel is located in the heart of Koreatown and Commissary is located on the second floor. The inside of the restaurant looks like a giant greenhouse, but we ended up sitting outside on the terrace for dinner. 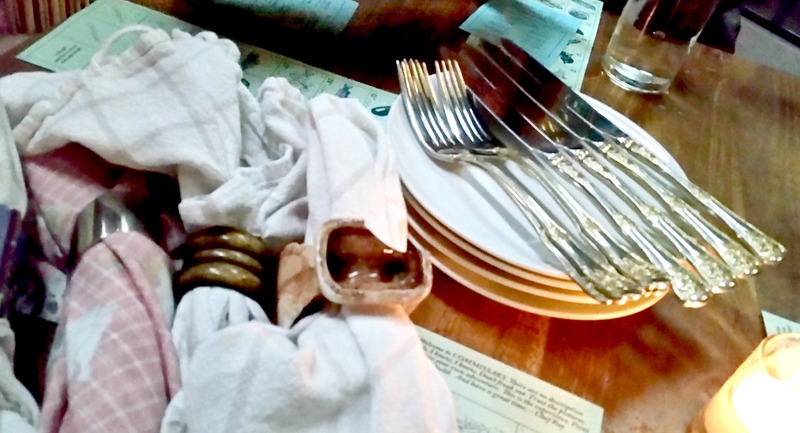 Upon being seated, I was quite amused at the mismatched silverware. 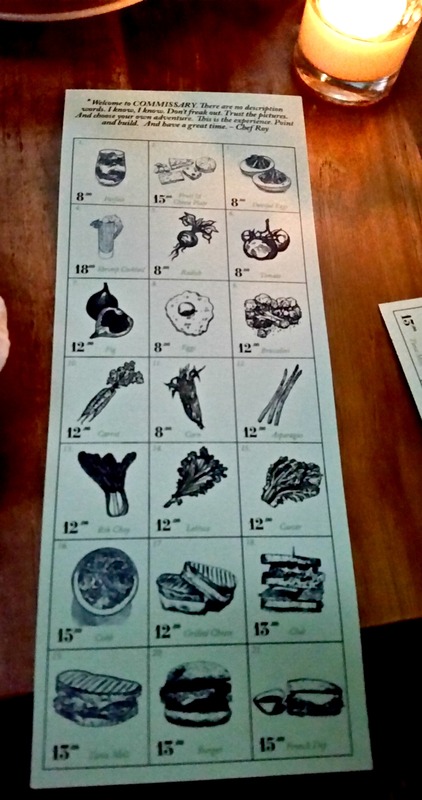 We were presented with our “menu,” which from reading prior reviews I knew was just a card with different pictures of proteins and vegetables on it. I should also mention that I did tell the waiter beforehand that I had some food allergies and he was quite helpful in steering me in the right direction. 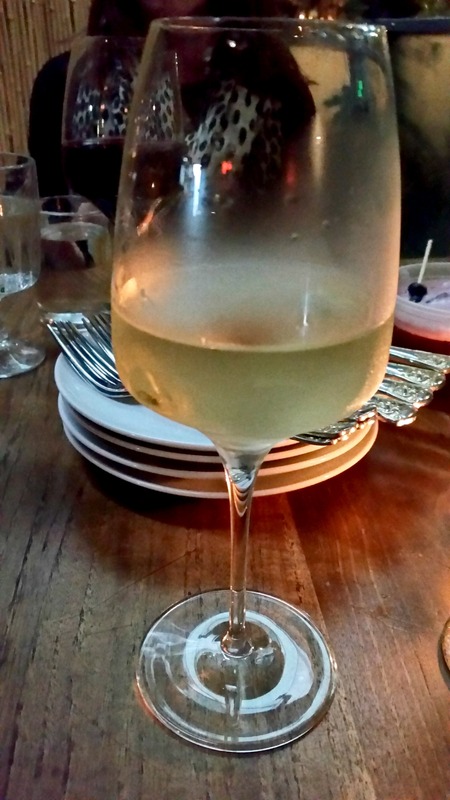 Commissary also has an eclectic drink menu, but since I was the driver for the evening I kept it simple and stuck to a glass of wine. The table decided to order a bunch of dishes and share them family style, which was perfect. Our first dish was poached eggs in a spicy tomato sauce. And it was fabulous. 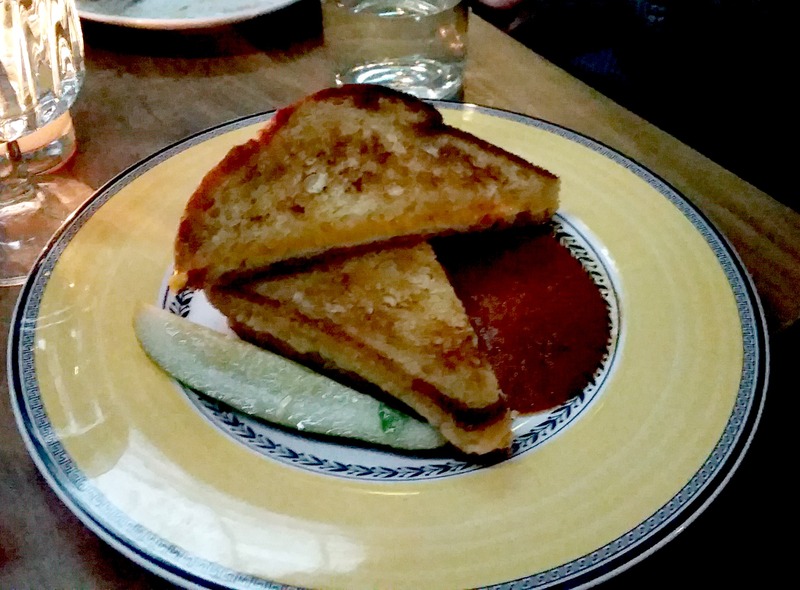 I had been craving grilled cheese ever since the movie Chef, and after hearing Commissary had the grilled cheese from the movie, we knew we had to order it. We actually ordered two to make sure everyone could indulge in cheesy goodness. This wasn’t a fancy grilled cheese by any means, but it took me straight back to childhood. American cheese on buttered bread and grilled to perfection. Loved the pickle on the side as well. 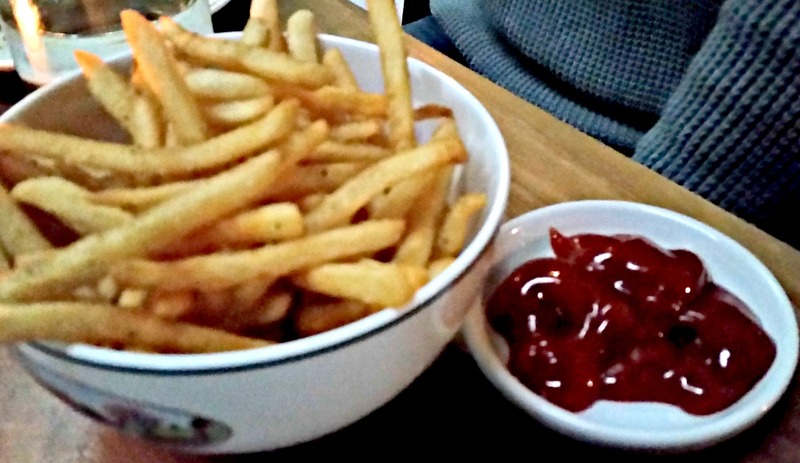 No grilled cheese is complete without a side order of fries so we got those as well. They were seasoned perfectly with just a little salt and pepper. Other items that we ordered but I didn’t photograph included the roasted carrots (order these if you ever go), fresh tomatoes and roasted sea bass. Both desserts were fabulous but I loved the lemon curd with rhubarb. You don’t see rhubarb often in restaurants so it was a treat to be able to order that. The menu changes pretty frequently at Commissary since they stay in season, but if you ever see a rhubarb dessert on the menu order it. 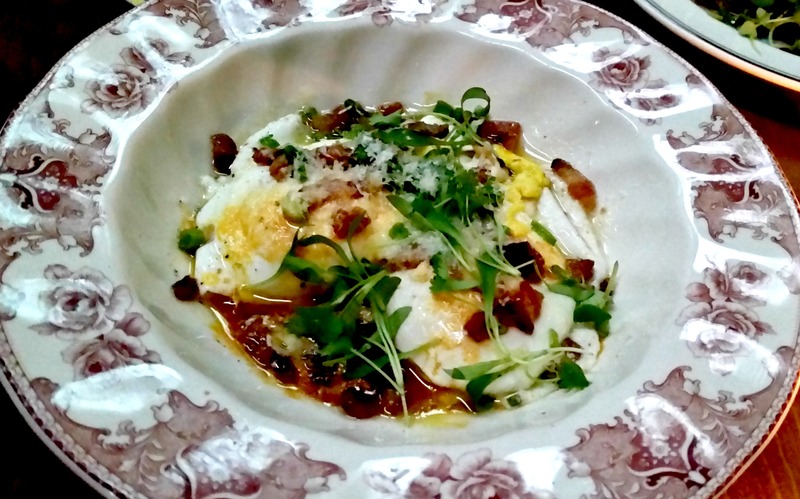 I really enjoyed my experience at Commissary at the Line Hotel. It was refreshing to just point at images and then have dishes be brought out. I’d like to return to try brunch too! 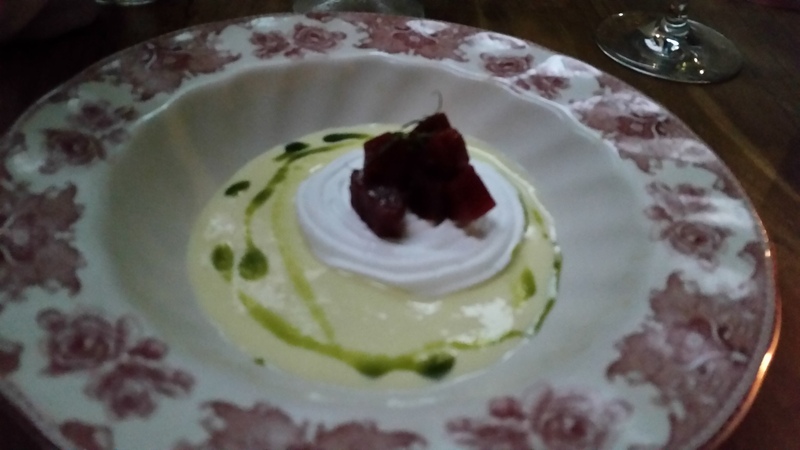 This entry was posted in Best Of, Dinner, Los Angeles and tagged chef, LA adventures, roy choi on December 4, 2014 by allie@sweetpotatobites. Soooooo good, right? The baked goodies in the lobby are terrific. I need to go back and hang out at the lobby bar next time – I keep hearing good things!